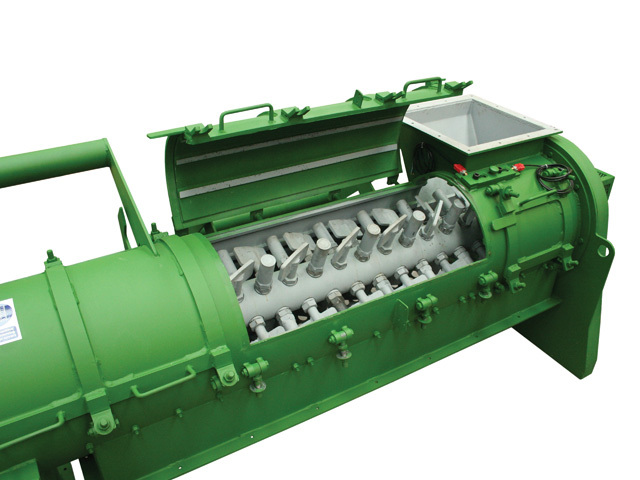 We have developed an innovative way of carrying out a busy waste recycling operation, whilst minimising the impact on local villages and rural communities. 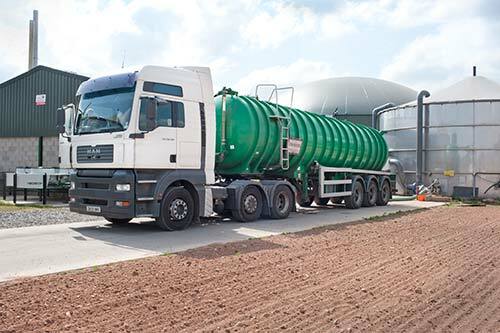 Our transfer facility at Four Ashes, near Wolverhampton is the reception site for most of the solid and liquid food waste deliveries we handle. The key purpose of the site is to remove any packaging and process the incoming materials into a blended liquid (affectionately called ‘Porridge’) that can be tankered to our farm based AD plant. The site is ideally positioned due to its close proximity to the motorway network, 1 mile from Junction 12 of the M6 and 2 miles from Junction 2 of the M54. Click here for more information. We accept deliveries in all formats (pallets, dolaves, skips, bins, etc.) and vehicles sizes from small skip lorries to articulated lorries. Click here for more information. The packaging that is removed is recycled through a local Energy for Waste plant, thus offering a zero waste to landfill solution and secure destruction. Our AD plant is located at Lower Reule Farm, close to the village of Gnosall, Staffordshire where we divert 30,000 tonnes of food waste from landfill per year. The site is designed to create minimal environmental impact and only requires a small number of buildings to carry out the process. If you didn’t know it was there, you could miss it! The AD process principally takes place inside two large tanks, called ‘Digesters’ (link to AD process page). This site is also where we have established a connection to the National Grid so the 1.3MW of green electricity produced each year from the biogas we process on-site can be fed directly into the grid. Every tonne of food waste we process will supply enough electricity for a 3 bed house for a month, or enough to boil 3000 full kettles! By generating electricity during our process we are contributing to the UK’s target of getting 15% of its energy from renewable sources by 2020. Our plant is playing its part in cutting greenhouse gas emissions and making the UK less dependent on imported sources of energy.